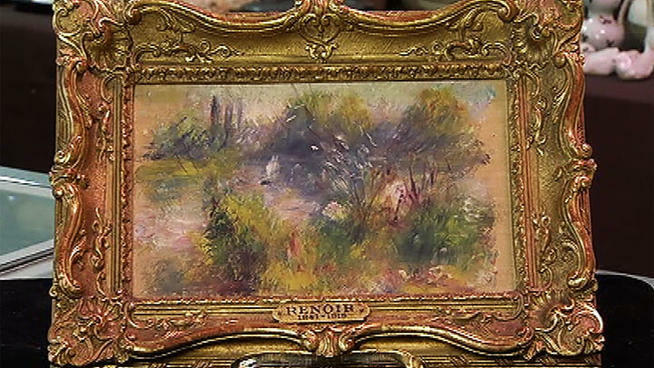 The curious tale of the “miracle” $7.00 Renoir is at an end—at least for now. On January 10, 2014, , ending a year-long ownership dispute, U.S. District Court of the Eastern District of Virginia judge Leonie M. Brinkema granted a summary judgment motion in favor of the Baltimore Museum of Art (the “Museum” or the “BMA”), ruling that a small landscape painted by Pierre-Auguste Renoir (1841-1919) allegedly purchased at a flea market, should be released into the Museum’s custody. 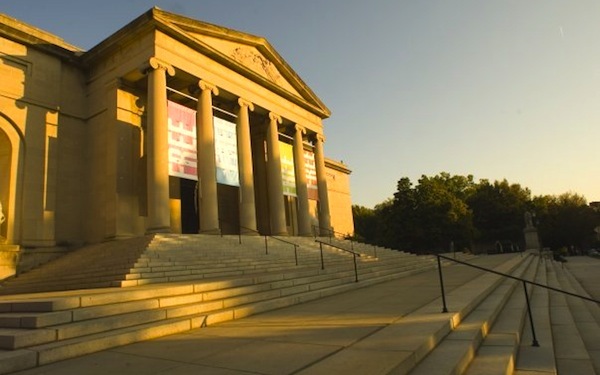 Since October 2012, a custody battle over the work has been waged between the Baltimore Museum of Art and Martha Fuqua, a Virginia resident, who claimed that she unwittingly purchased the painting for $7.00 at the Harpers Ferry Flea Market in 2009. According to Fuqua , she was only interested in the golden frame the painting and failing to realize that she was getting a Renoir. She had planned to put the painting up for auction in late September 2012, but the Potomack Company—the small Virginia auction house where she planned to sell the work—had pulled the listing when the Museum claimed that these painting had been stolen 62 years earlier. At the heart of the legal controversy, is the 5.5’ x 9’ painting, Paysage Bords de Seine, allegedly painted by Renoir in 1879 on a linen napkin at a Parisian restaurant for his mistress. It was purchased by Herbert L. May from Berheim-Jeune, a Paris gallery, in 1926. May’s ex-wife, Saidie May, lent the artwork to the Baltimore Museum of Art in 1937, she ultimately bequeathed her art collection to the Museum. Paysage Bords de Seine was stolen in November 1951, shortly after Saidie May’s death. Following the theft, the Museum accepted $2,500 from its insurance company for the painting. The years between the theft of the painting and its resurfacing remain a mystery. For more details about the circumstances of rediscovering the painting in 2012, read our post, The Tale of a $7.00 Renoir Demonstrates the Surprises and Difficulties of Determining Good Title in the Art World. While the ownership dispute over the painting—estimated to be worth between $75,000-$100,000— was ongoing, the FBI seized and held it in a warehouse in Manassas, Virginia. In court documents, the BMA argued, “Fuqua, even if a bona fide purchaser, cannot obtain good title to the painting because it was stolen.” As evidence to support their contention that the piece was stolen in 1951, the museum had offered a 60-year-old police report, old museum catalogues, and a receipt demonstrating that Saidie had bequeathed this painting, together with other artworks, to the Museum. “[Our mother has] had it for a long time, probably 50 or 60 years… My girlfriend and her friends were cleaning out my mom’s studio, and my sister stepped in and said, ‘Wow, I want this.’ All I know is my sister didn’t just go buy it at a flea market. …My sister kind of snagged it out of my mom’s art studio.” He claimed this episode occurred in 2011. Fuqua has 30 days to decide whether to appeal the ruling. Reblogged this on Cultured Muse. Thanks for reblogging Ariel’s story. We have more noteworthy articles coming up so please visit us again.